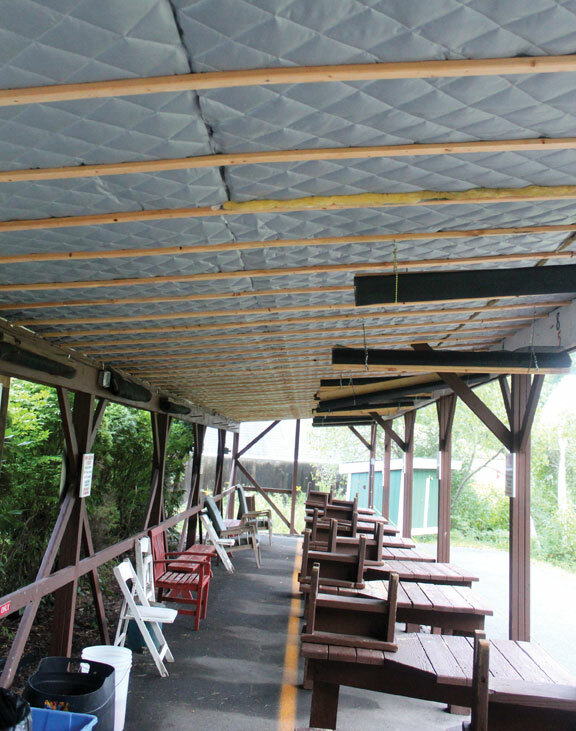 PROSPECT — At the request of the Planning and Zoning Commission, the Prospect Gun Club will look into more possible options to mitigate gun fire noise coming from its shooting range. “That’s what we’re trying to accomplish, some solutions, some resolution for some sound,” commission Chair E. Gil Graveline said during last week’s meeting. This summer, the commission approved more hours club members can shoot at the range, which is located on town property behind the public works garage at 211 Cheshire Road. The extension was the second one granted by the commission over the past couple of years. The decision upset neighbors who live near the range, particularly people who live in the Tress Road area. As the back and forth between neighbors, club members and the commission continued last week, some commission members kept coming back to the idea of installing a sound barrier wall behind the firing range to help reduce the noise. Joe Fattore, president of Vibrasciences Inc., said there is a “strong possibility” that a sound barrier wall would minimize the noise. “There are definitely materials that can be used for exterior applications,” he said. Vibrasciences Inc. is a Branford-based company that specializes in noise and vibration problems. The gun club hired Fattore in 2017 to study the range and recommend ways to reduce noise. The commission’s approval for more hours came after the club took measures to mitigate the noise. Prospect Gun Club President Jerry Williams said he supports working again with Fattore to come up with more suggestions for sound mitigation. But, he questioned whether any measures the club might take would be enough to appease residents, adding the club has already spent a lot of money on mitigation. “If we put something up, and they still hear the bang, is it going to be good enough?” Williams asked. “Nobody’s looking for a million-dollar solution,” he said. The commission took no action on the matter. The hours at the range used to be limited to weekends. In the fall of 2015, the commission approved extending the shooting hours to include Thursdays in the summer and a few hours on the Friday after Thanksgiving. 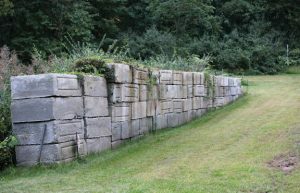 The club built a wall of concrete blocks between the range and the public works garage in 2016. In 2017, the club installed commercial grade sound proofing material under the roof of the firing lines. The steps taken paved the way for the extended hours. The summer seasonal hours at the range are now 4 to 7 p.m. on Tuesdays, Wednesday, Thursdays and Fridays. The extended hours also allow for an extra hour on Saturdays from 9 a.m. to 7 p.m. and shooting on Memorial Day and Labor Day from 9 a.m. to 12 p.m.
Williams said he waited a year after getting the first extension and asked the land use department whether the town had received any complaints. He said there were no complaints, so he decided to ask for additional hours. “When I heard that I was very excited that what we did must have done something to make an improvement,” Williams said. Noise level readings taken by Fattore after the sound proofing material was installed showed the decibel levels were reduced some compared to an environmental noise survey performed by Applied Improvement Technologies, LLC on Oct. 29, 2016. However, residents say the steps taken by the club so far haven’t helped. “The sound mitigation installed by the gun club has not improved the gun shot sounds in our neighborhood,” said Donald Reilly, who lives on Tress Road. Residents said extending the hours to six days a week in the summer is too much and decreases their property values. Many have said they want the range to go back to its previous hours. Commission member Jack Crumb said he doesn’t want to take any hours away from the club, but that it bothered him that the back of the firing range was left wide open. “We did give them the hours we did, but I think [the club] ought to do a little bit more,” he said.